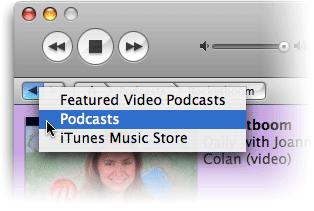 You may not know this, but the iTunes music store is basically just a customized web browser of sorts. When you click an object in the store, it’s just like clicking a hyperlink on a Web page. Now, there are some restrictions in this customized browser which make it not quite as nice to use as a “real” broswer. For instance, you can’t use tabs to open multiple music store pages at once (why not, Apple!?). Nor can you create bookmarks from content that you’d like to revisit regularly. While this may not be a huge timesaver, it does make it easy to jump around within the store, without having to move back or forward a screen at a time.